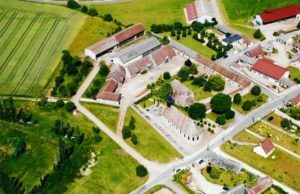 When I went to Guillaume Marie’s farm “Les Deux Ormes” earlier this year, I hadn’t thought of any link with the first Norman King of England, William the Conqueror. But after my visit, I became aware of a governing principle: illustrious names! 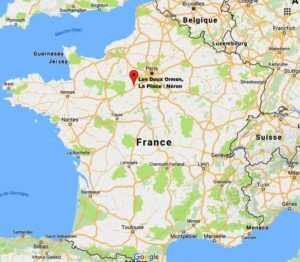 The village I was heading to is called “La Place” – The Place. Nothing more, nothing less. Apparently, there is no need to add anything: it is THE place! La Place belongs to a township called “Néron” – Nero. This is the name of the famous last Roman Emperor of the Julio-Claudian dynasty. 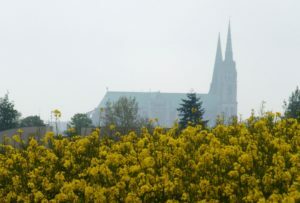 And Néron is close to the renowned city of Chartres with its Gothic cathedral. It is one of the finest and best preserved cathedrals in Europe, a UNESCO World Heritage Site. Chartres is situated in the fertile plain of “Beauce”, which is also called the granary of France. 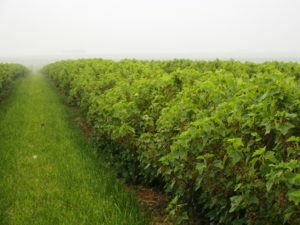 In sum, this place, a hundred kilometers South of Paris, is made for conquering the world with prestigious blackcurrants, planted by Guillaume (William, in English)! 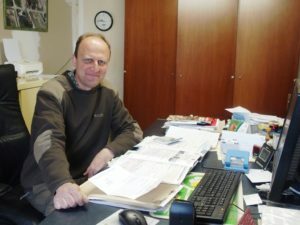 Guillaume is farming a total of 440 hectares with two permanent employees. The general structure is quite standard. 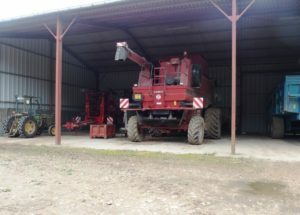 “For being profitable when you grow wheat, corn and the like, you need 200 hectares per person”, Guillaume says. 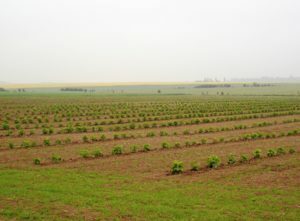 The farmland belongs to himself and several members of his family. 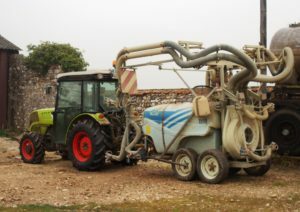 The biggest share of the land (180 hectares) is planted with wheat (durum and common wheat). 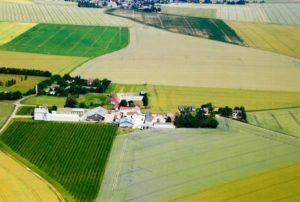 He also grows rapeseed on more than 60 hectares, and immediately after this come currants: red and black currants, on 40 hectares. On the remaining land, we can find potatoes, onions, beetroots, fava beans, flax, corn, peas and barley. 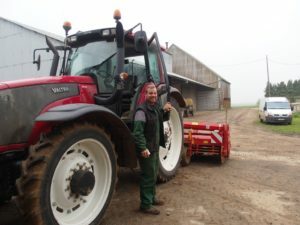 Guillaume had studied agricultural engineering and had not worked on the family farm at first. After his studies and for ten years, he had worked as director of a nursery for vegetable products and aromatic herbs in Morocco. 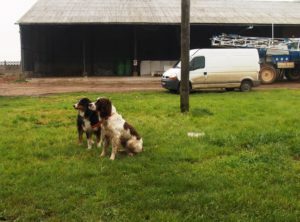 When he came back to France in 2010, he took over the family farm. 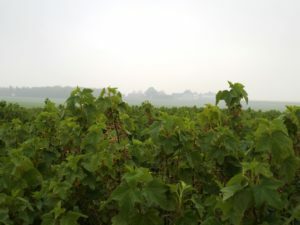 He has chosen the name “Les Deux Ormes”, which literally means “The Two Elms”, because the family farm brings together two places: the farm buildings and the dwelling-house where Guillaume lives with his family, and where an old elm tree had been standing for years. And his father’s farm one kilometer away, called “Ormoy”. Where is Madame de Maintenon? 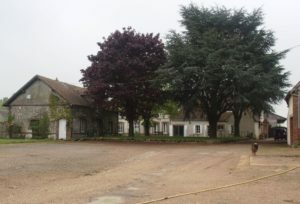 Ormoy, a chapel and farm buildings, had formerly belonged to Madame de Maintenon. The village of Maintenon with its chateau is in fact just 5 kilometers away. Françoise d’Aubigné had bought it – which is how she got the title of “Marquise de Maintenon”. This lady lived in the 17th century – and was actually the second mistress and wife of Louis XIV (the Sun King, who had built Versailles). Some of this famous king’s illegitimate children were partly raised in Maintenon. 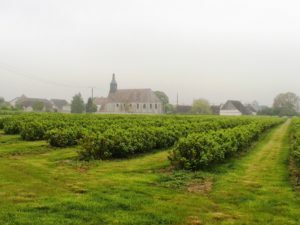 Leaving French history behind, we come back to Guillaume’s farm and his currants. 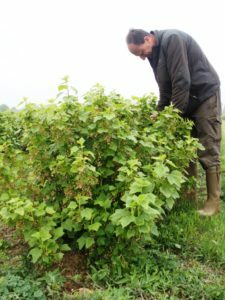 He grows 40% of red currants, of varieties Jonkheer, Junifer and Rovada. But our focus is on the 60% blackcurrants. Guillaume mainly grows the varieties which the cassis liqueur producers in France need: Blackdown, Andorine, Andega, Andelène, and some Tiben. “The fruit association we belonged to does not exist any more. We now are part of Vergers d’Anjou”, says Guillaume. Guillaume loves his blackcurrants – even if they represent a tiny share of his business. 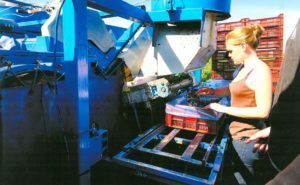 During the harvest, which lasts three weeks, he needs to employ more people: there are two shifts of 8 people, one for the early morning work, one in the afternoon. 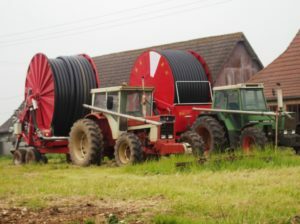 Sometimes, Guillaume needs to irrigate his blackcurrants. He generally rents hives for a better pollination. 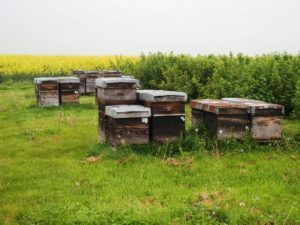 Rapeseed and blackcurrants grow not far from each other, they both attract bees and bumblebees. 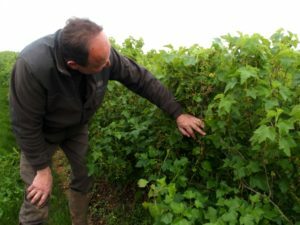 When he plants new fields of blackcurrants, Guillaume doesn’t use plastic any more. “I used to plant them under plastic foil before, but I have stopped this. There will be weeds anyhow, and removing them is more complicated with plastic around”, explains Guillaume. 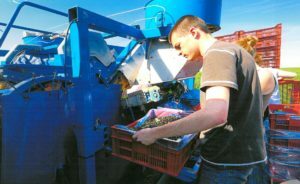 Guillaume does not yet have problems with scales, like other growers further South in France are experiencing. The climate is not the same, and plantations around are different. Luckily, the cassis producers in France can find their favourite varieties from this grower farthest North in France.